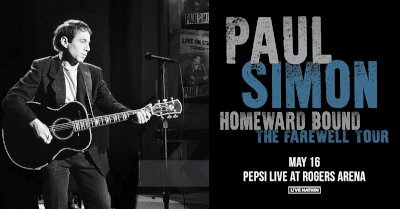 Paul Simon says he has just one more tour in him and he opened it on Wednesday (May 16) night at Rogers Arena in Vancover. The show spanned 25-songs over a main set and three encores that was split almost evenly between pre-Graceland and Graceland on including three songs from his 2011 album So Beautiful or So What but none from his 2016 set Stranger to Stranger. Among the thirteen pre-Graceland tracks were five from the Simon & Garfunkel catalog although possibly their most enduring song, "Bridge Over Troubled Water", was omitted. Simon continues the tour through the summer.